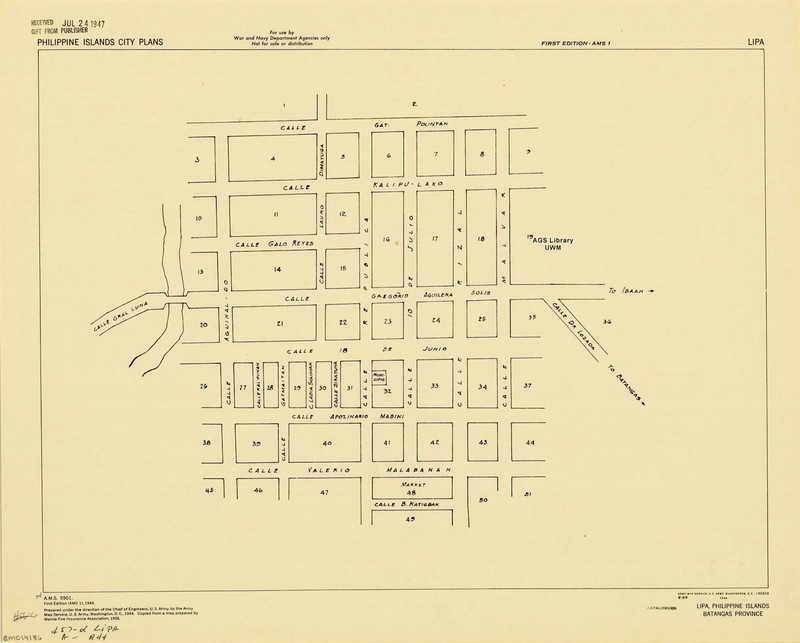 Map of the town of Lipa in 1944 as created by the US Army Map Service. 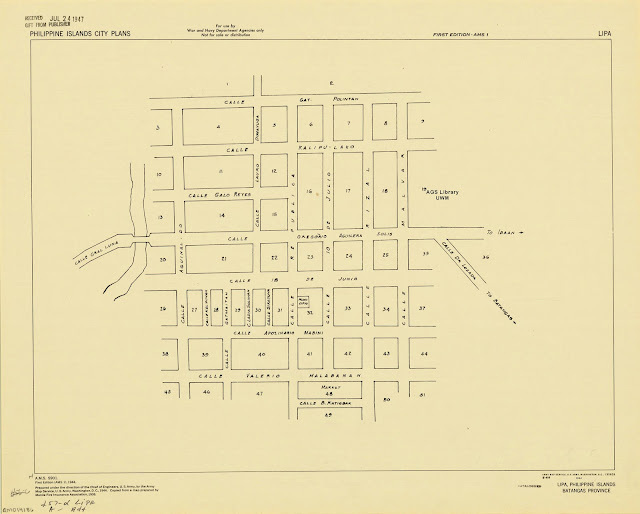 The map above shows the street plan (including street names) of the then–town of Lipa in Batangas in the year 1944. The map was originally generated by the United States Army Map Service and copied from a 1936 map created by the Manila Fire Insurance Association. The above map has been downloaded from the University of Wisconsin at Milwaukee Digital Library where it is made available for educational and non–commercial purposes.